In your Pipes, you're free to add as many Phases as you feel are necessary to keep your process running smoothly. 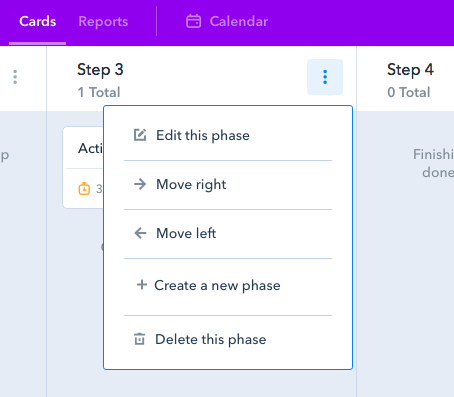 You can also delete and reorder the existing Phases to make them better suit your workflow. The first step for creating a new phase is giving it a name. 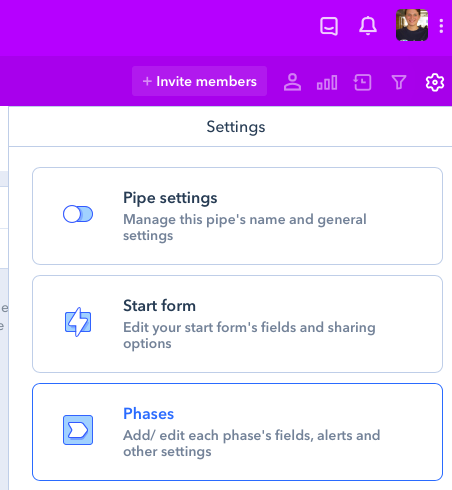 Once you set a name for your phase, and you wish to add fields or change its position in your pipe - start editing your phase in the phase's settings.